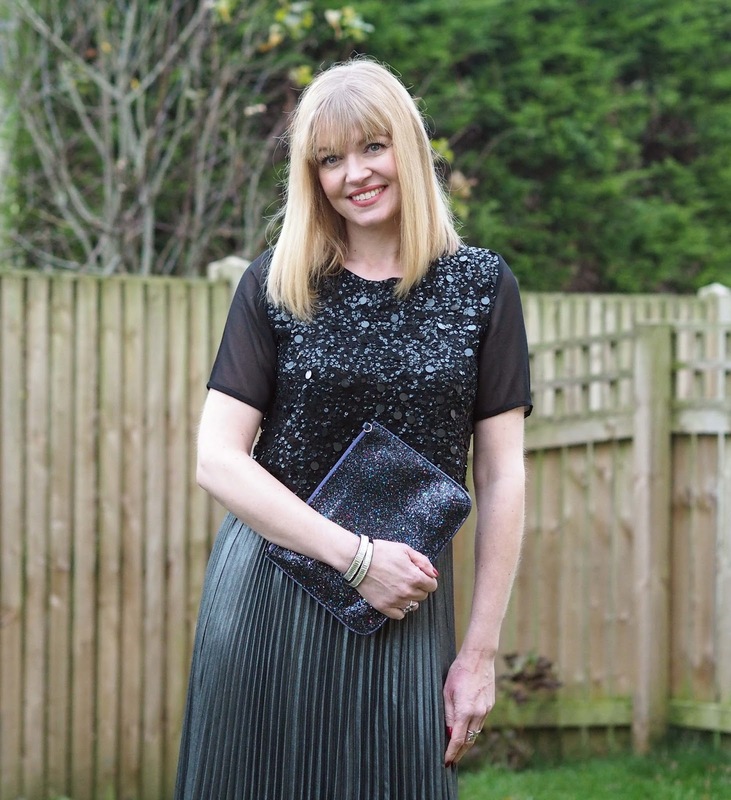 Can you wear a cropped top if you’re over 40? But there are “degrees of cropping” and when styled carefully, with an appropriate bottom half, I think a long cropped top, (I know, I know, an oxymoron, but you know what I mean), can work regardless of age. 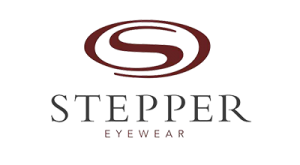 It’s about proportion and balance and maintaining a modest bottom half, so not too much skin is on display. Elegant and fluid, a maxi skirt or wide-legged sailor trousers are a sophisticated, womanly choice. Nothing too figure-hugging because the overall look should whisper of grown-up, knowing sensuality and not shriek of a midlife-crisis. I say this rather tongue in cheek because my teenage children never miss an opportunity to suggest that a midlife crisis is exactly what I’m having; but actually, I have no desire to be anything or anyone other than who I am right now, because I have never felt as happy and as confident as I do currently, (which at any age is a wonderful way to feel). Of course, this happiness comes from within, from the people around me and from an appreciation of everything which is precious and by that I mean love, health, friendship and family, and when that inner happiness shows on the outside, it becomes a thing of beauty. 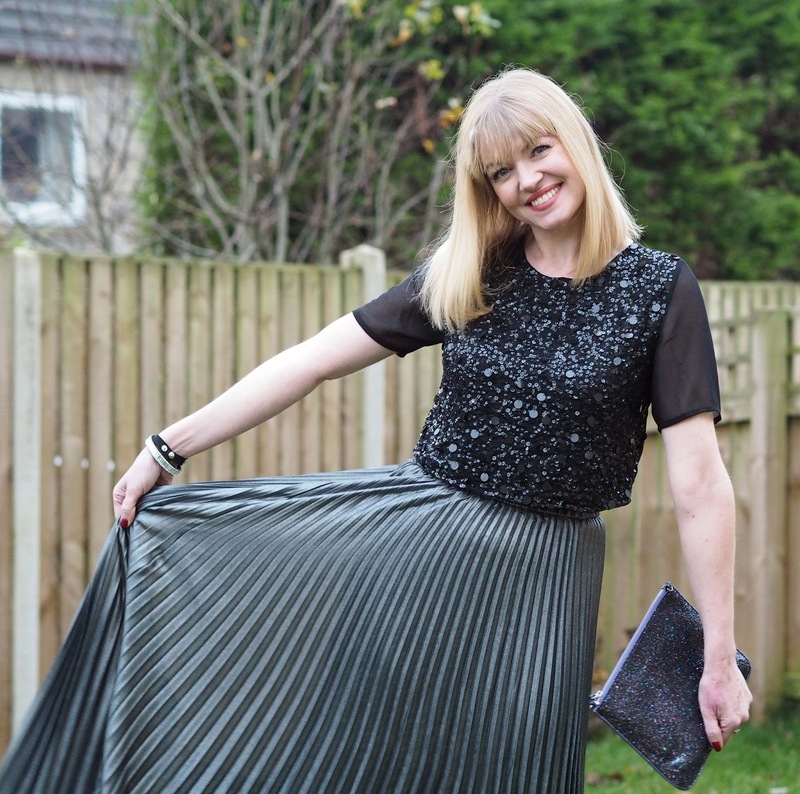 But back to the outfit… This black sequin cropped top with semi-sheer short sleeves is neither boxy nor fitted, and tapers slightly towards the hem. 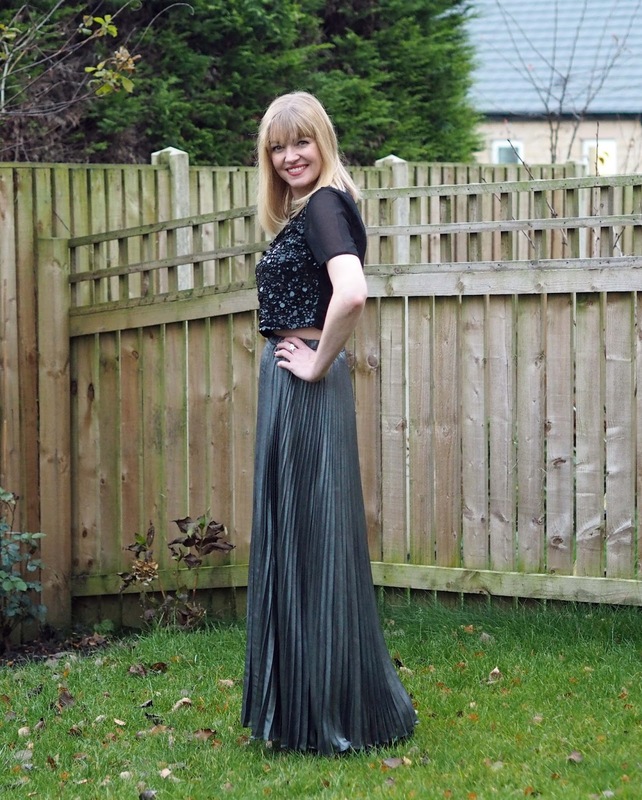 My skirt is a true maxi in that it is full, full length. For reference, I’m a whisker under 5 ft 9 inches tall and I’m wearing 3 inch heels so it really is long. It has an elasticated waist and if you’re between sizes as I am, I’d suggest sizing down. I’m wearing a UK 10. 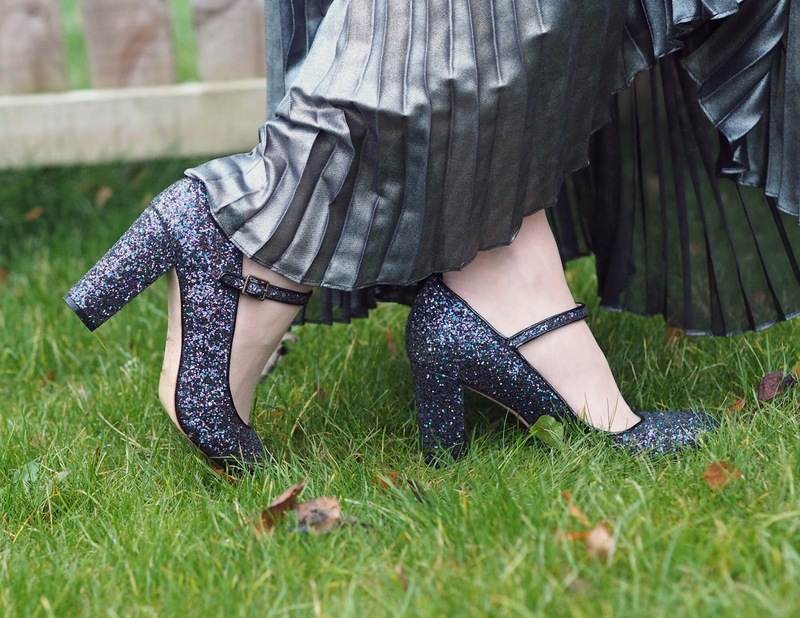 If you’re petite, the proportions for a similar outfit would perhaps work better with a midi-length skirt because a maxi might overwhelm your frame, but it’s always worth trying different lengths with different heel heights to see. 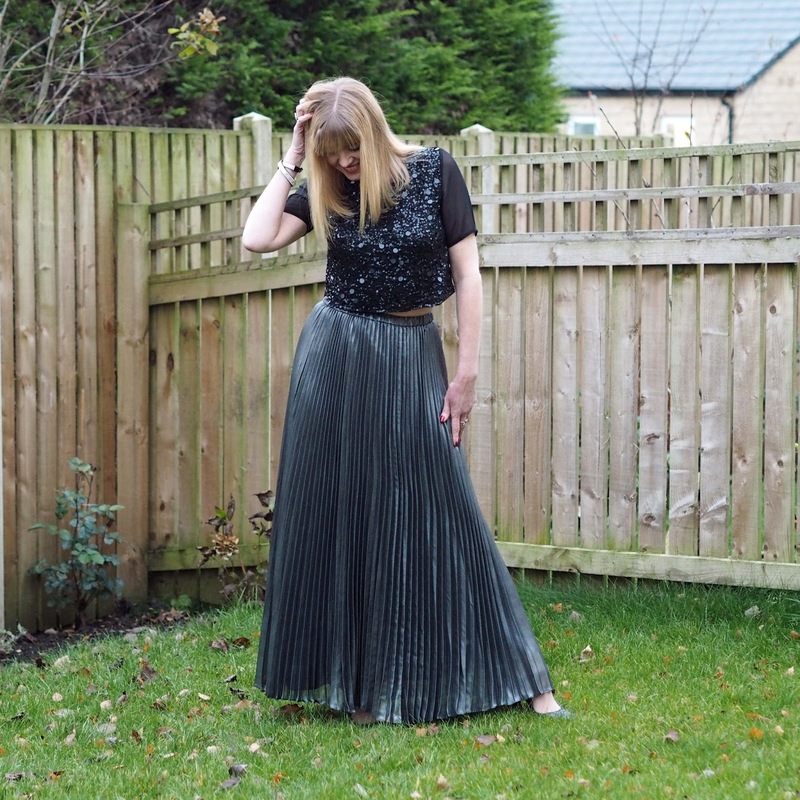 I love the metallic foil finish of this skirt and while it is most definitely designed as eveningwear, I would love to wear it with grey suede biker boots and layers of chunky knitwear on a windswept British beach. I wore it on Friday evening for the annual Christmas Girls’ Night In, which this year was at my friend Jane’s home. It involved Secret Santa with a twist and a lot of fizz which in turn leads to dancing and much hilarity. It was a brilliant night. My ring is a new addition to the Danon Swarovski bee collection at my online boutique, LizzyO. It’s a statement piece and it draws compliments every time I wear it. Also new is a collection of both silver and gold honey bee jewellery, different is design to these ones. Totally gorgeous and already proving to be very popular. 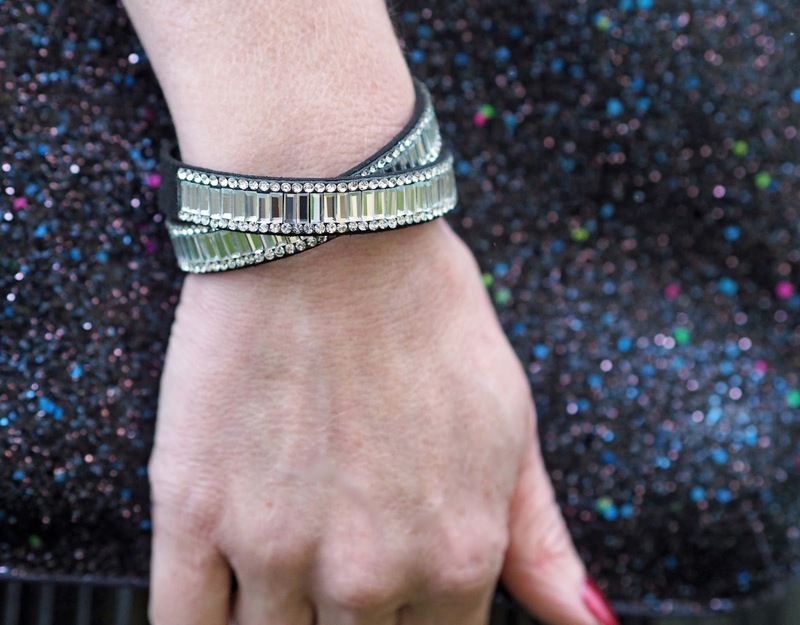 The black baguette crystal double-wrap bracelet is also from Lizzy O. It’s super sparkly and is just £12.50 so is a very attainable way of adding shine and sparkle to an outfit. 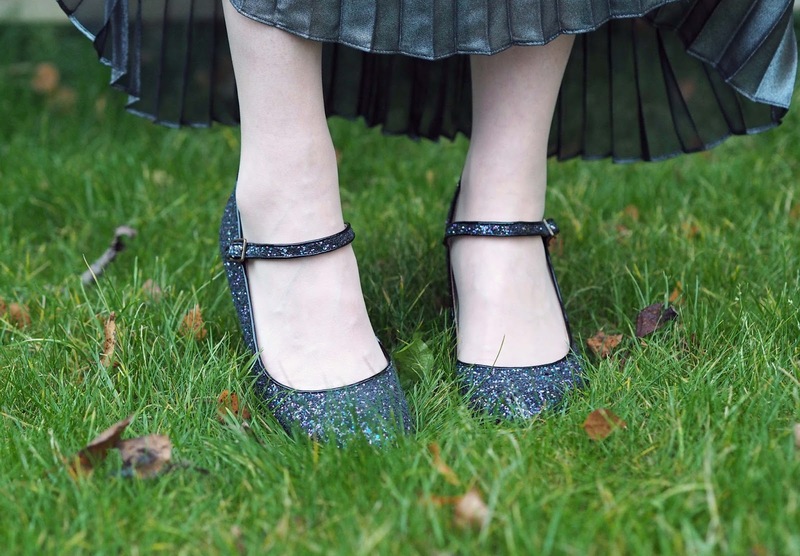 My multi-coloured glitter Mary Jane shoes and matching clutch never fail to put me in a party mood. I have had them for three years now and still enjoy wearing them as much as I did the day I got them. Do sign up to my monthly newsletter in the right hand sidebar of my blog for exclusive discounts at Lizzy O). I think the outfit looks awesome! The top is not very cropped, definitely no mid-life crisis in sight. Women don't have time for those anyway. That's a lovely outfit and as you've demonstrated you can wear anything – it's how you wear it that matters. 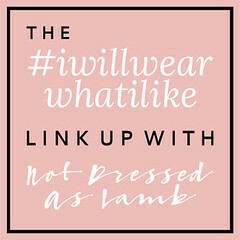 I'm in my 50's and I'd wear it – and I think my 9 year old daughter wouldn't be too shocked. Sadly I don't have her washboard stomach though!